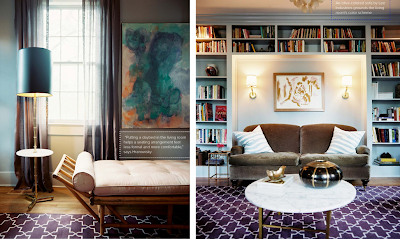 Like everyone else on the internets, I was excited to see the new issue of Lonny go live this past week and spent a lovely Sunday morning perusing all the pretty photos of fabulous rooms. 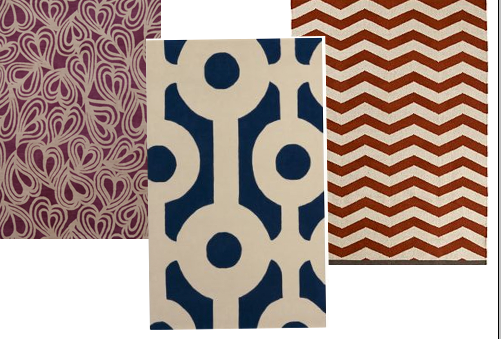 What struck me most about some of the spaces is how well a colorful, graphic area rug makes the room feel warm and interesting. I can't even start to choose. I could build rooms around any one of them! Which is your favorite? 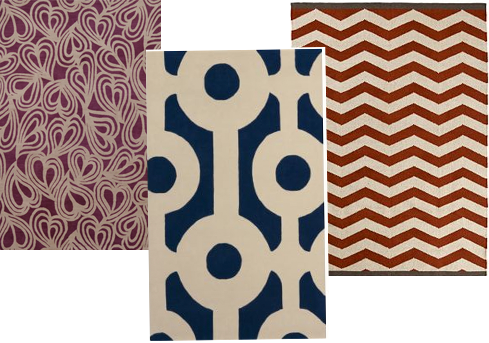 Those rugs are absolutely stunning! My favorite store for rugs-- Overstock.com! They have a huge selection, a wide range of (great) prices, and no higher that $2.95 shipping! Love them all! 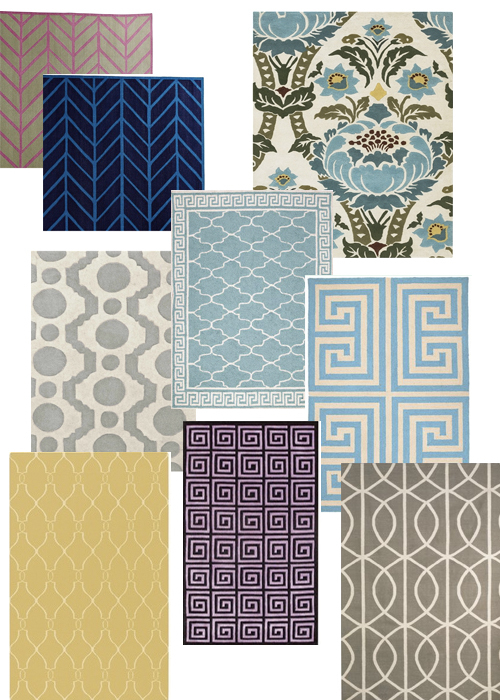 I've always been so sad that area rugs are SO pricey :( Whyyyy does it have to be this way?! The purple Greek Key!!! Although I will say, my mama bought me a 6-color rug when I moved into my apartment and while I was skeptical at first, I love how versatile it is and how much it brightens up a room! 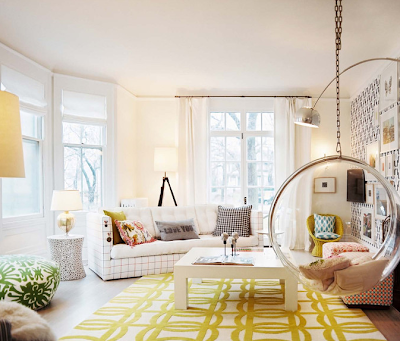 I love that yellow rug in the top picture-- it really adds pop to the room! I love them all! The first pic is my favorite! The yellow makes that room so beautiful!